The Permanent Platform of Atomium Culture brings together some of the most authoritative universities, newspapers and businesses in Europe to increase the movement of knowledge: across borders, across sectors and to the public at large. 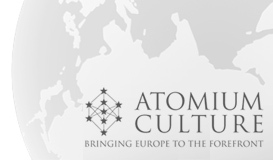 La plataforma permanente Atomium Culture reúne a las universidades, periódicos y empresas más prestigiosos de Europa para promover el flujo del conocimiento más allá de fronteras, entre sectores y hacia el público en general. How Does the Brain Memorize a Sequence of Events? Walking from the hall to the kitchen may take a few seconds. Remembering this event is an ability we all expect to have, but this should not be taken for granted. Memorizing a sequence of events requires certain connections between nerve cells to undergo a long-term strengthening. This also happens in the brain of rats running along a certain path between sources of food — preferably not the path between your hall and your kitchen. The relevant memory process is based on so-called “place cells”. A place cell is a nerve cell in the brain that becomes active when one crosses a certain area of the spatial environment. There are, for example, some place cells for the hall and others for the kitchen. The brain contains thousands of these cells, and the areas where the different cells become active can overlap. Thus, if you walk from the hall to the kitchen, first the hall-cells are active, then both the hall-cells and the kitchen-cells and, finally, only the kitchen-cells. This sequence takes several seconds. However, for nerve cells, this short sequence seems to take almost forever because many cellular processes occur on much faster time scales. To strengthen connections between two cells, they are required to be active — one says they “fire” — within a few milliseconds. Only if a hall-cell is active a few milliseconds before a kitchen-cell can the brain strengthen the connection from the hall-cell to the kitchen-cell and thereby memorize the sequence “hall–kitchen”. But how does the brain ensure that the hall-cells fire only a few milliseconds before the kitchen-cells, even though the actual hall–kitchen sequence takes several seconds? The underlying mechanism can be explained as follows: each place cell resembles a clock that ticks every second, and all place cells tick synchronously in the same rhythm. The firing of a place cell corresponds to the striking of a clock — a brief gong. A certain cell-clock therefore begins to strike when you enter the hall. However, it does not strike exactly in its one-second rhythm, but a little faster — say, instead of firing every second, it strikes every 999 milliseconds. The first strike of the hall cell-clock is synchronized with the regular tick of the clock. However, the second strike is one millisecond earlier than the tick, the second strike two milliseconds earlier, and so on. Let's assume crossing the hall takes you 5 seconds; at the end of the crossing, the hall-cell will strike 5 milliseconds before the tick. When you enter the kitchen, the kitchen-cell starts to fire as well. The first strike of the kitchen-cell is again synchronized with the tick, which is 5 milliseconds after the strike of the hall-cell. This 5-millisecond interval remains as long as both cell-clocks continue to fire. This is the core of the memory process: although you enter the hall 5 seconds before the kitchen, the hall-cell only fires 5 milliseconds before the kitchen-cell when you enter the kitchen. Therefore, the sequence of events, such as a short walk, is effectively compressed from seconds to milliseconds, and the connections between the respective cells can be strengthened. Through this mechanism a sequence of events can be learned and later retrieved as a memory. In neuroscience, the activity of nerve cells is usually measured several times to be more certain of the results, and then the average cell activity is interpreted. This approach has also been used in studies of the memory process described above. These studies have shown that that there appears to be a considerable inaccuracy in the striking of each cell-clock. In fact, in the worst case, the order of events could even get mixed up! As a graduate student at the Bernstein Center for Computational Neuroscience in Berlin, I wondered whether it actually might be more appropriate to study single walks from the hall to the kitchen. After all, hungry humans also don't have to run several times to kitchen to be able to remember it later. In collaboration with the Rutgers University (USA), this approach, interestingly, led me to the finding that the memory process in a single cell works more precisely than previously assumed, and the precision that is required for memory processes is available in single walks to the kitchen. Future studies need to further examine to what degree this precision is maintained among different cell-clocks — for example, how coordinated is the striking of different cell-clocks? It seems that a lot of work still needs to be done until we completely understand how our memories are stored in the brain. Obviously, storing and recalling such simple, apparently self-evident memories already requires some impressive tricks in the brain. Leading young European researchers have been selected by European research universities and the Scientific and Editorial Committees of AC to write an article about their work and the potential impact of this.